Most respiratory diseases are caused by breathing of toxic or polluted air. Airborne particles stay in the air, and once they are trapped in a room, they are likely to cause respiratory problems. Gases and fumes from the external surroundings may also enter into a room. 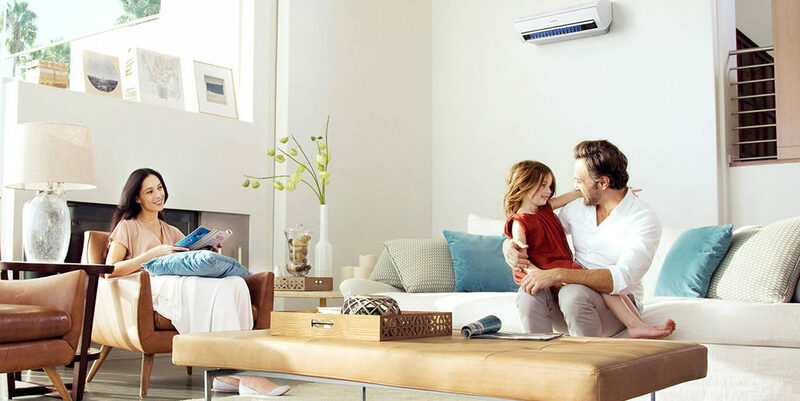 An air conditioning unit helps in circulating fresh and clean air in the room by removing the stale and particle-heavy air. This improves the respiratory conditions particular to people sensitive to dirty air. It is challenging to stay in a room that is humid. One of the problems caused by wet conditions is respiratory diseases, especially for children. To ensure that you minimise the amount of humidity in the room, you should have an air conditioning unit. You can set it to keeps moisture to the required healthy levels. As a result, one is able live his/her life comfortably for as long as it takes. An increase in humidity can also lead to the destruction of walls in a home and hence another reason to control it. According to research, the metabolism rate decreases in a warmer environment than in the cold conditions. Thus temperature changes can result in harmful health conditions, especially children. A slow metabolism causes a reduction in the rate at which fat metabolised in the body. This can easily lead to obesity or a sudden increase in body weight. An air conditioning unit helps in reducing the temperatures in a room to a level that is healthy for a human being. This cools the human body thereby speeding up the metabolic rate. A decrease in metabolic rate can also lead to retarded growth especially for children. It’s a fact that a weak immune system makes your body vulnerable to diseases. When the room is not well air conditioned the rate at which germs spread is high. They will attack your immune system and weaken it. Air conditioning makes the room have the right temperature and humidity. This significantly reduces the growth of germs and bacteria causing diseases in our body. Air conditioning works similarly to a fridge in that it limits the growth of microbes on the food thereby keeping it cool and fresh for a long time. If there is anything that can lead to serious health problems is the surge and drop of body temperature. Conditions like pneumonia, cold, coughing and fever among others are as a result of temperature fluctuations. One should have a constant body temperature regulated externally and not internally. If the body must keep regulating its temperature, it can lead to fatigue and this can causes other problems in the body like heart attack which is very often fatal. Air conditioning is the only way that can ensure your body temperatures are constantly regulated and all the time.